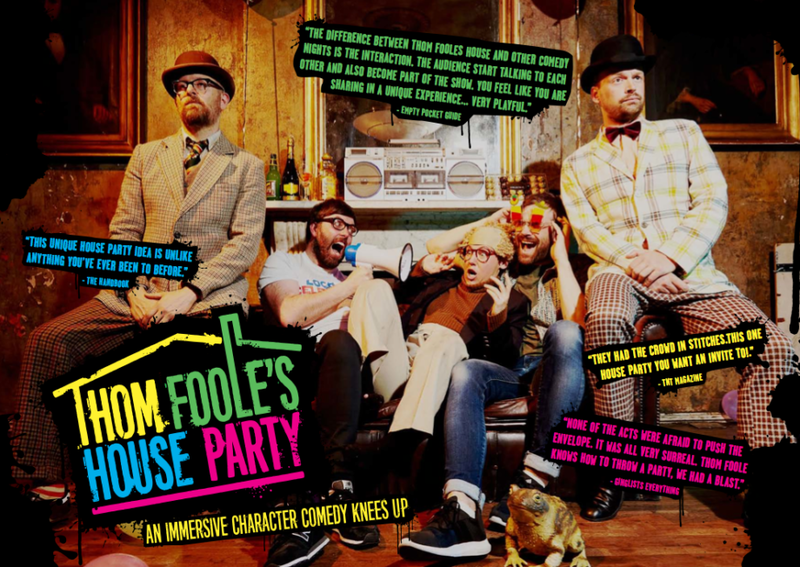 At Thom Foole’s House Party you can expect a truly immersive and absurd character slapstick comedy experience. It take’s the anarchic chaos of alternative acts and turns it into an interactive show with music, clowning, games and general tomfoolery! Think TFI Fridays meets Live At The Apollo via Little Britain and you'll have some idea of what it's all about. For London Bridge City Summer Festival Quin Fontana will host Thom Foole’s House Party and guests will include quintessential English gents The Establishment, Daniel Simonsen and Cassie Atkinson.